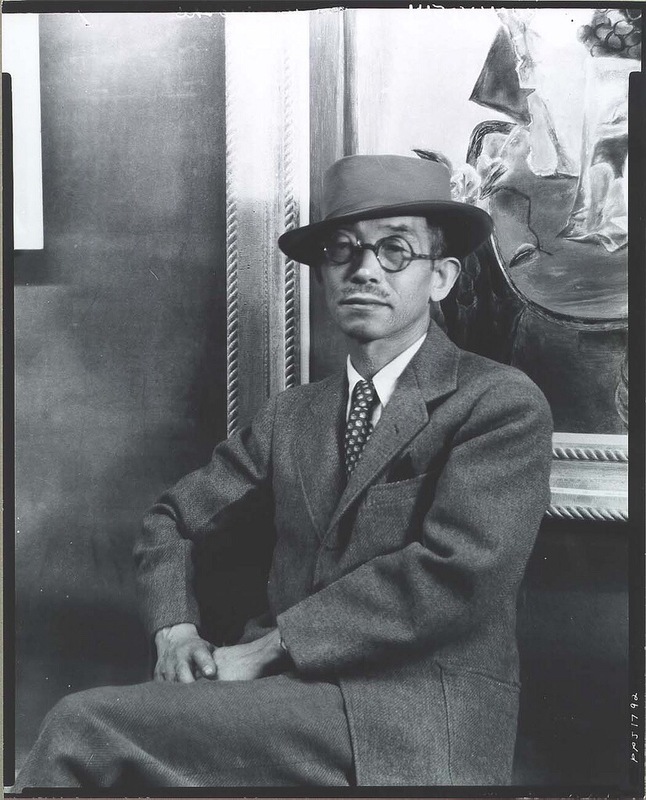 THIS IS A STORY ABOUT THE ARTIST YASOU KUNIYOSHI AND HOW I BECAME AN ART DETECTIVE. 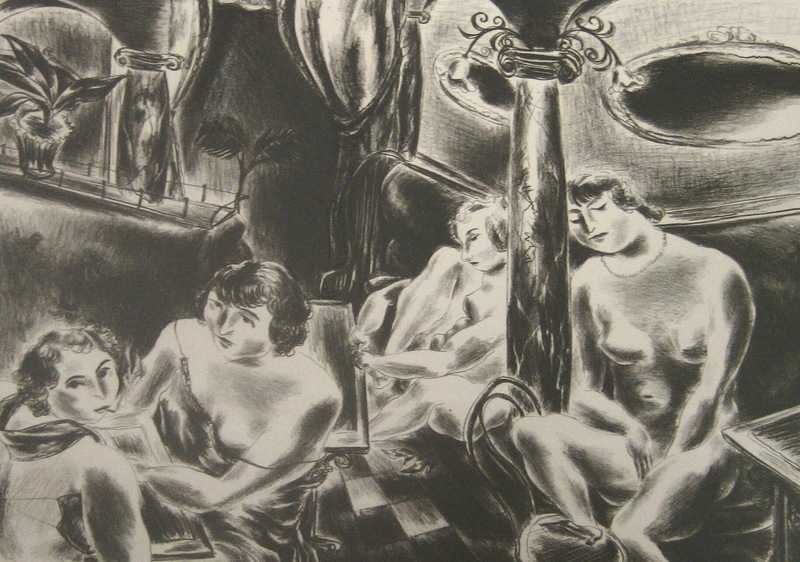 When Yasuo Kuniyoshi began studying in New York City at the Art Students League in 1916 he tried and failed to get into George Bellows’ popular painting class. Instead, he studied with Kenneth Hayes Miller, who proved to be a valuable influence on Kuniyoshi’s artistic trajectory. Soon after assuming the role of teacher himself in 1933, also at the Art Students League, Kuniyoshi’s own classes became difficult to get into. He was immensely popular with his charges. In the classroom, he engaged students with questions about process and subject matter, not just technique, encouraging them to develop a curiosity about how to represent their unique experiences of the world. This method mirrored his own approach to painting. What does that have to do with Kuniyoshi? When I used the bathroom in my client’s home, I kept looking at an interesting framed print there. It was an unusual drawing and I kept thinking this is something important. I looked at the signature one visit and could make it out as Kuniyoshi. I knew Kuniyoshi because he was a former Art Students League instructor in the 1940’s. I had studied his work on on the internet as I became educated in various artists who were not well known. Upon Discovering the signature, I found out my client bought it many years ago in a flea market for next to nothing. I told her what I knew about the artist and said she might have an original print that was valuable. I told her to take it out of the bathroom immediately to prevent any more water damage. Then we searched the Internet and YES it was his print from a series. Now we needed to find out if it was original. My client made an appointment with a Sotheby’s print specialist. And according to Sotheby’s IT IS AN ORIGINAL!!! The value $8,000. She removed the old frame had it framed and it is over the couch. She had a treasure and it was hiding in the bathroom. I’m grateful that I could see the treasure due to my art knowledge. Why Kuniyoshi is an artist I admire is because he taught his students to PUT YOURSELF IN THE ART.